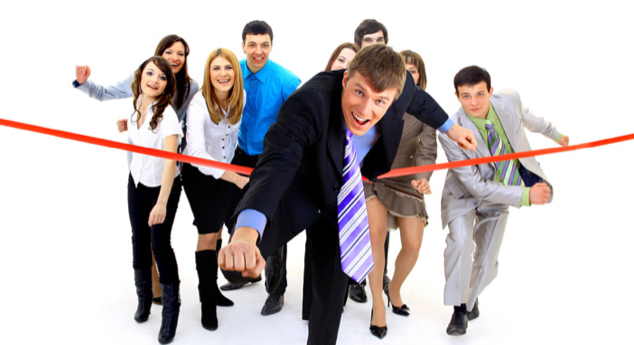 Here at Wellworks for You, we certainly hope that you get as excited as we do about corporate wellness programs. If you know what a well-run, high quality wellness company can offer your corporation, then you’ve probably already implemented many of the helpful – and even fun – programs that we’re going to discuss in today’s article. However, you may have always thought of corporate wellness as an obligation or perhaps you or your employees have had poor experiences in the past with providers who offer dry, lifeless programs that no one wants to participate in. If this is the case, you’re in for a treat because we’re about to let you in on a little secret. Corporate wellness programs can be fun…especially when you implement a corporate wellness challenge that is engaging and creative! Most people do intuitively want to protect themselves, promote their own wellbeing and reach goals in their life (many of them are health related). Most people also spend a significant amount of hours per week in their place of work and with their coworkers. A good wellness company finds creative ways to take this situation and turn it into a win-win for both the employees and the business. That’s what we do at Wellworks for You and we have a system of fun, engaging corporate wellness challenges that are sure to spark some life into your programs! Take a new approach on the classic step counting walking program and instead utilize a virtual pedometer program that will provide map routes, 360 degree views of walkers’ location and complete tracking through a personalized portal! We put the latest technology to use to make a traditional program more interactive and exciting! Health education can seem like a challenging category if you are looking for ways to liven up your wellness program. However, with the unique game-style wellness challenge ideas that Wellworks for You offers, your employees will be learning about health and having fun at the same time! Ask us for more details about setting up Wellness Jeopardy or Wellness Roulette in your company’s wellness program. Everyone’s heard of The Biggest Loser, the popular TV series that prompted the similarly named workplace wellness challenge. Offering a weight loss competition such as this can be very helpful and engaging for employees. But how about considering a seasonal weight management challenge to implement over the holidays that wouldn’t focus on losing weight, but instead would emphasize not gaining? Because this wellness challenge puts a new spin on the weight issue and is a short term program that can be implemented just for a season, companies often see higher participation rates. It is always a good idea to set up ways for employees to compete against themselves in the arena of health and wellness. When it comes to individualized corporate wellness challenges, Wellworks for You offers many fun options including a Wellness 500 program or even a Wellness Derby. Both of these programs would offer points to participants as they complete certain value-assigned wellness activities or habits. If you have additional questions about any of the ideas presented in this article, we invite you to check out our complete corporate wellness challenge brochure or call Wellworks for You to talk to a corporate wellness specialist about your company’s needs.